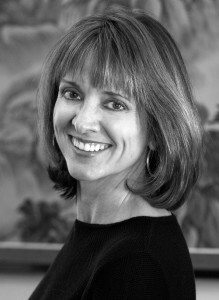 Welcome to Susan M. Blakes, LMT. I am a Rehabilitation Bodywork Therapist, Movement Therapist, Bellanina Institute Instructor, MELT Method Instructor, Licensed Massage Therapist, Licensed Massage & Bodywork Therapist & Certified Personal Trainer. I specialize in therapeutic soft tissue therapy, long-term chronic pain, acute pain & injuries, sports injuries, MELT Method & the Bellanina Facelift Massage. Client sessions are designed to treat pain symptoms with advanced techniques in Myofascial Release, Myoskeletal Alignment Therapy, MediCupping, Neuromuscular Massage Therapy, Orthopedic Massage Therapy, CranioSacral Therapy along with range of motion techniques & Active Isolated Stretching. The combination of soft tissue therapy, rehabilitative strengthening & stretching exercises, and self-care treatment programs help my clients recover efficiently and effectively to resume their favorite activities, exercise & training programs, sports activities as well as maintain their overall structure and well-being. If you’d like to set up an appointment, feel free to contact me at (864) 735-8283 or email me at susanblakeslmt@gmail.com.